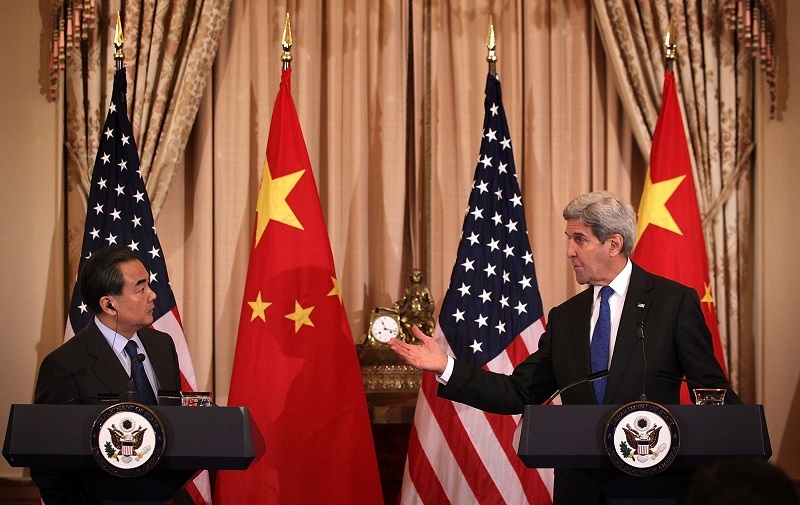 At a joint press conference with U.S. secretary of state John Kerry in Washington, D.C., in February, Chinese foreign minister Wang Yi assured his audience that, compared with other parts of the world, the South China Sea was stable. To be sure, the Spratly Islands are not Syria. The geopolitical stakes, however, are arguably much higher than in the Middle East, and since the beginning of 2016, events have suggested that the South China Sea is becoming more and more tumultuous by the week. Is there any hope of tamping down tensions in the South China Sea as we move forward into 2016? The outlook, unfortunately, would dishearten even the most optimistic of observers. The ASEAN-China “conflict management” process continues to bumble along, but without the urgency that the current situation demands. This year Laos, which lacks significant clout within ASEAN, occupies the organization’s rotating chairmanship. A landlocked country, Laos has no stake in the dispute but to avoid giving offense to the two competing claimants, China and Vietnam, who are also its closest economic and political partners respectively. Following a meeting in January with Prime Minister Thongsing Thammavong, Secretary of State Kerry said that when it comes to the South China Sea, Laos wants to preserve ASEAN unity, protect maritime rights, and prevent the militarization of the dispute. In reality, the country will struggle to maintain ASEAN’s fragile consensus on the problem, let alone defend maritime rights or impede the inexorable militarization of the dispute. Due to rising tensions in Southeast Asia’s maritime domain, Foreign Minister Vivian Balakrishnan has conceded that Singapore “has its work cut out” as country coordinator. As talks on the CoC continue, Singapore has suggested that, as an interim measure to reduce tensions, the Code for Unplanned Encounters at Sea (CUES)—a nonbinding set of protocols designed to prevent mishaps between naval ships that was signed in 2014 by the 21 members of the Western Pacific Naval Symposium, including 8 ASEAN members and China—be expanded to include coast guard vessels. During a visit to Beijing in early March, Balakrishnan raised the idea with senior Chinese leaders. China is reportedly considering this proposal. The United States, a signatory, has praised CUES as an important tool for improving interactions between the U.S. Navy and the PLAN and supports its expansion to include coast guard, and even merchant and fishing, vessels. Coast guards, as enforcers of national maritime regulations and criminal law, have been at the forefront of attempts by South and East Asian countries to enforce their territorial and jurisdictional claims over the past few years. The United States wants to include commercial vessels as well, which it accuses China of using as part of its “maritime militia.” These ships, also known as “little blue men,” act under orders from the PLAN to advance Beijing’s claims and harass warships and coast guard vessels from other nations. It is highly doubtful, however, that China would agree to expand CUES to cover merchant ships and fishing trawlers, given the benefits it accrues from the nonofficial status of its maritime militia. There can be no doubt that rapid progress toward the implementation of effective conflict management mechanisms has become extremely urgent. Storm clouds are gathering. Senior U.S. officials have reiterated that the U.S. military will “continue to fly, sail, and operate wherever international law allows,” and that further, more complex FONOPS are planned; China has ominously warned that such missions could “trigger eventualities.” Australia and Japan are also mulling FONOPS in the South China Sea. The military facilities on China’s seven artificial islands in the Spratlys are nearing completion and, in the estimation of the U.S. intelligence community, once finished will enable Beijing to “deploy a range of offensive and defensive military capabilities and support increased PLAN and CCG presence” across the South China Sea. Greater numbers of Chinese naval and coast guard vessels in the disputed waters will almost certainly increase the frequency of tension-generating incidents with the other claimants, particularly Vietnam and the Philippines but also Malaysia and Indonesia, as these vessels move to enforce China’s jurisdictional claims to the outer limits of the nine-dash line. While Indonesia does not recognize the legal basis of China’s U-shaped line, it also does not consider itself to be a claimant and instead has positioned itself as an “honest broker.” Nonetheless, this position has become increasingly difficult to maintain following the incident on March 20 that occurred off the Natuna Islands in an area where Indonesia’s EEZ overlaps with China’s nine-dash line. 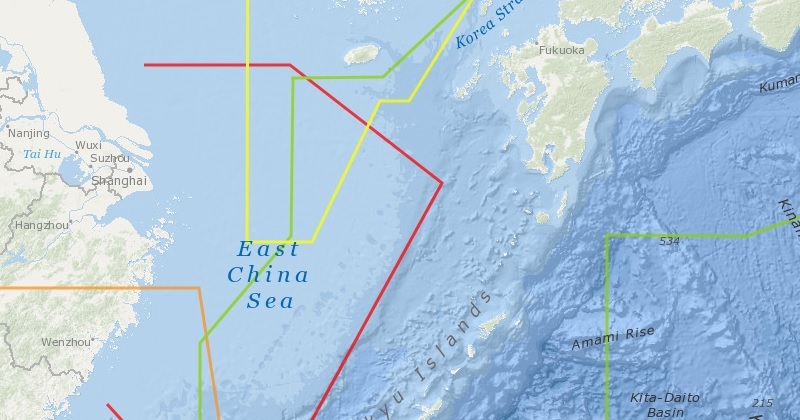 Overlapping air defense identification zones in the East China Sea. Visit the Interactive Map to explore. Once the radar facilities and runways on the artificial islands are operational, China might declare an air defense identification zone over the Spratlys and adjacent areas, thus ratcheting up tensions even further. Royal Australian Air Force patrols over the South China Sea are already routinely challenged by Chinese military personnel on the artificial islands. Equally worrisome, the U.S. Navy has said that the presence of survey ships at Scarborough Shoal, the scene of a tense standoff between the CCG and the Philippine Navy in 2012 that resulted in the latter conceding control of the reef to China, could be an indication that Beijing is about to commence work on another artificial island. This would only inflame tensions between Manilla and Beijing in the run-up to the ruling by the arbitral tribunal—established in 2013 under the United Nations Convention on the Law of the Seas—on the case brought by the Philippines challenging China’s claims in the South China Sea. Both claimants and non-claimants would likely see reclamation work at Scarborough Shoal as another, perhaps the final, nail in the DoC’s coffin, as that agreement forbids claimants from inhabiting unoccupied features. On March 15, Kurt Campbell, former assistant secretary of state for East Asia and the Pacific in the first Obama administration, was quoted in a newspaper column expressing concern that if the various parties do not exercise more caution, they might sleepwalk into a conflict much as the major European powers did in 1914. Whether recent events have provided a sufficient wake-up call remains to be seen. Ian J. Storey is a Senior Fellow at the ISEAS–Yusof Ishak Institute in Singapore.